What's Coco been up to the last couple of weeks? 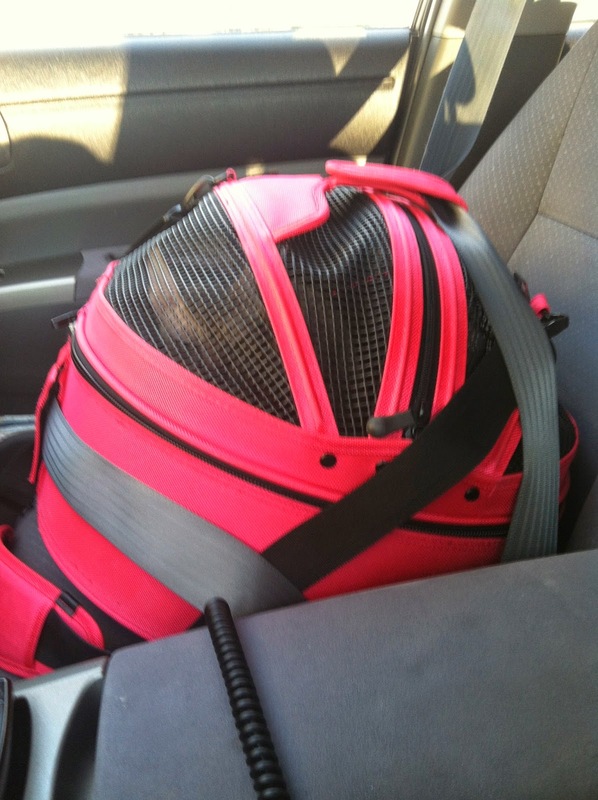 Quite a lot, including having her 6 month Mature Lady Cat physical exam and lab work! She is going to be 10 years old this September, so as much as she is young-at-heart, I just can't believe how time flys by! Her vet (also where I work) said it was time for her to have her teeth cleaned and that a couple of teeth didn't look healthy, having that feline nemesis, FORL's... 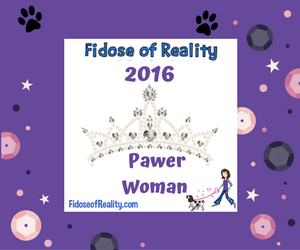 Her exam and labs were all perfect, except for the overdue dental care. 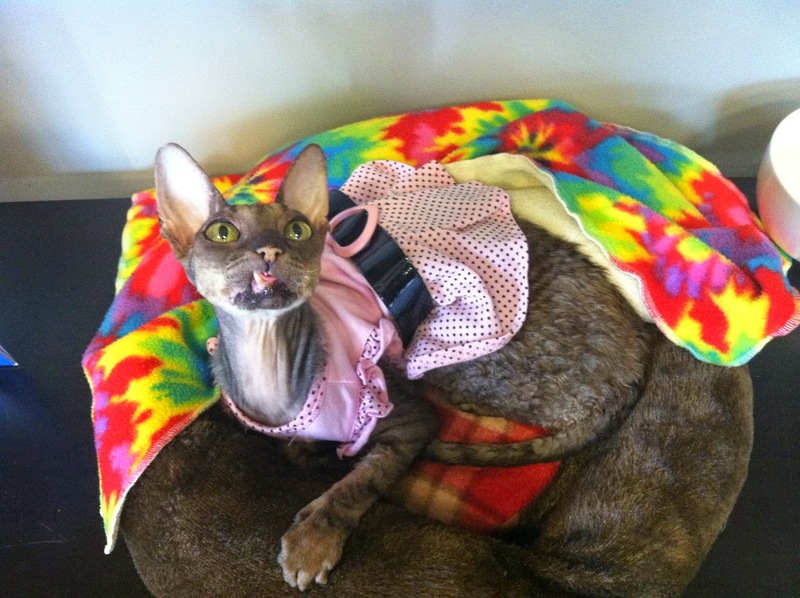 She did fine under anesthesia, and it turned out she had 4 teeth that had to come out, but unlike her mother, she will not have 'Elvis Lip' as no canine teeth had to be extracted...thank goodness! 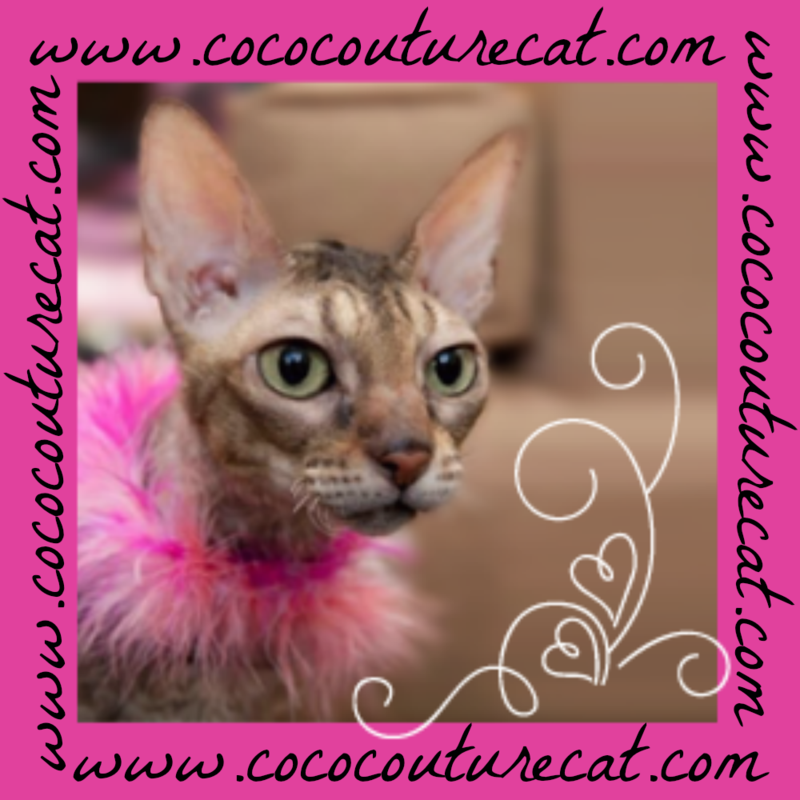 Coco is a model, and hopes to keep that elusive smile perfection! 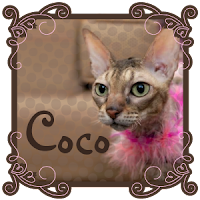 And Coco made a personal appearance at the Super Pet Expo in Chantilly VA last month that I never got around to blogging about! 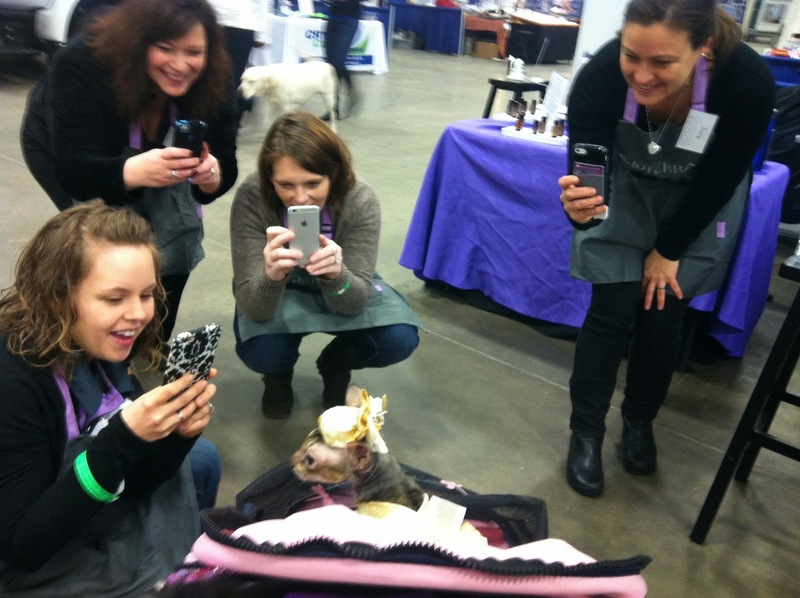 Of course, Coco was surrounded by paparazzi as she strolled around the Expo! Coco even had a little cafe table set up to display the book featuring her, and of course, Cici the Cuddle Clone filled in for Coco while we were judging the costume contest! And then this last weekend, Coco and I joined in the Fun-Raising for Pugs4Pinky and a had a fab time helping raise money for Pugs in need...and Coco wore her signature pink pageant gown and a silly bejeweled, befeathered tiara and strolled away with Best Pet Other Than a Pug in Pink trophy! 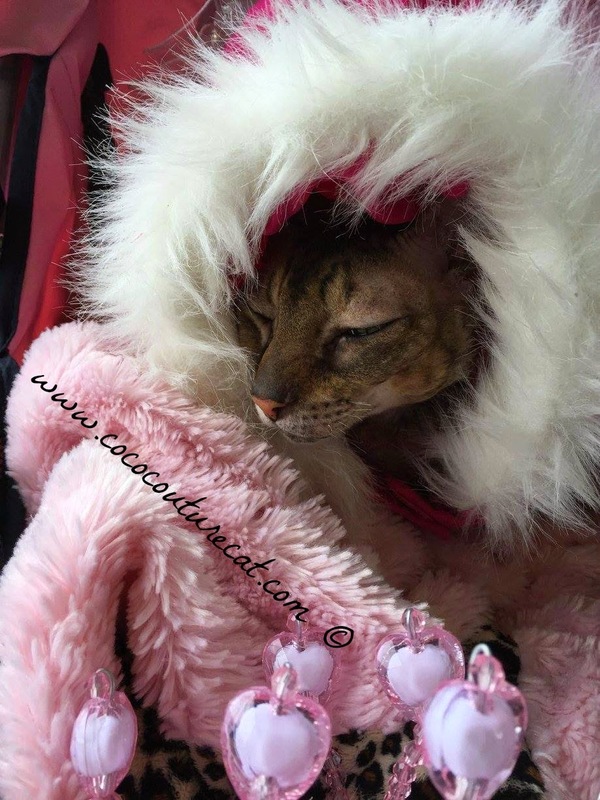 It was kind of cold and blustery, so she spend most of the time wrapped up in her pink puffy coat and sitting on a couple of Snuggle Safes... but the Diva took it all in stride! 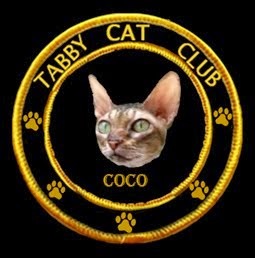 Wow, Coco has been very busy! I'm glad her dental went well - that is always stressful for the humans! I'm glad that Coco's exams and dental went so well. 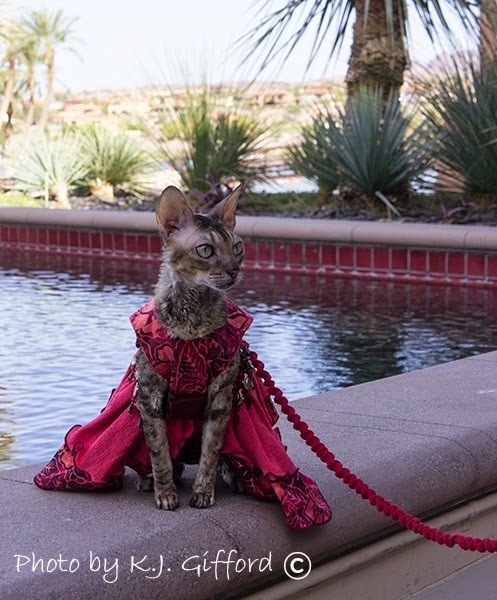 She is a gorgeous lady cat. 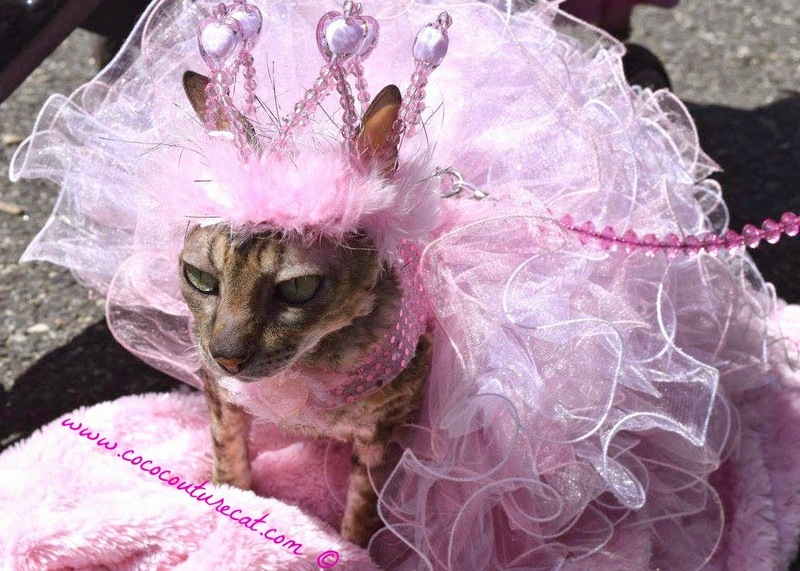 I love that frilly pink dress. Jenna is going in for dental tomorrow. We hope she doesn't lose any teeth but take it in stride. You've been quite a traveler, Coco! So exciting! Very glad to hear your dental went well...those are always kind of scary for the cat moms! Can't wait to see you in Nashville! 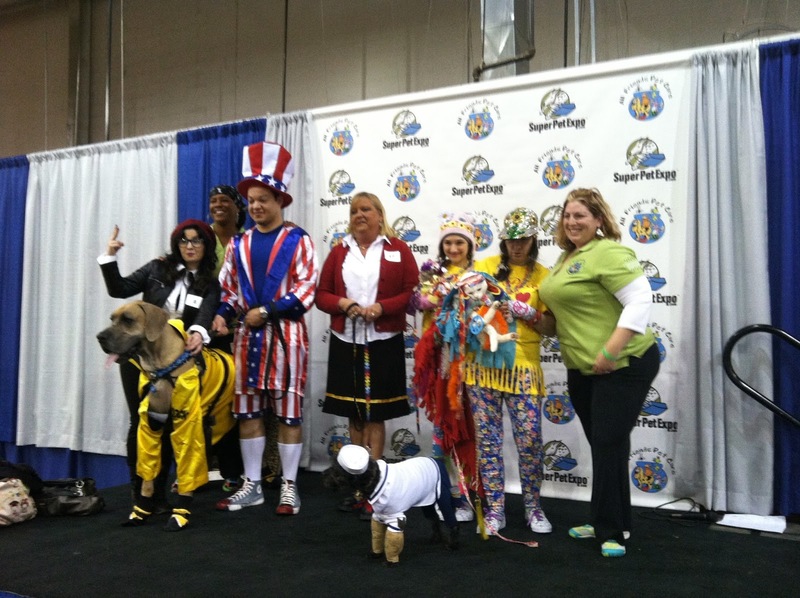 National Pet (Me) Day, #BlogPaws Style!